Kip was born and raised in Greenville, and is glad to be back in his hometown and practicing near the neighborhood where he grew up. He graduated from Wade Hampton High School in 2002 and went on to attend the University of South Carolina. While there, he was in Sigma Alpha Epsilon fraternity and played football for two years. 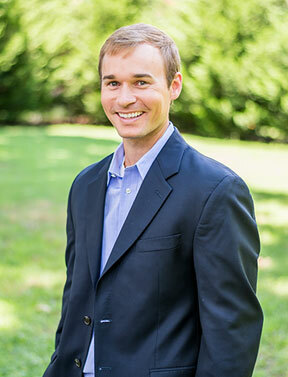 Kip obtained his Doctorate of Dental Medicine from the Medical University of South Carolina in 2010. While he loved the city of Charleston and being near the ocean, he decided to further his skill and knowledge at a general dentistry residency at the University of Alabama – Birmingham, where he focused on learning to treat medically compromised patients. Upon completion of residency, he was excited to return to Greenville and be near his family. Kip met his wife, KoKo, when she interviewed for the residency program he was completing. After a year of dating, they were married in St. Thomas in August 2012, and later had a son in April 2015 and a daughter in July 2017. Kip has become involved with the local medical community in screening and treating sleep apnea. He is fascinated with the implications of untreated sleep apnea and how we can effectively treat this widespread condition with a non-invasive dental device. Kip loves playing any type of sport, spending quality time with his family (including many nieces and nephews), deep-sea fishing, spear fishing, free diving, hiking, and traveling.